This is a one-stop real estate website for all your home buying and selling needs in Colorado Springs, CO. 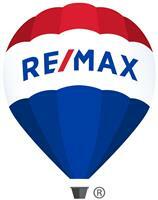 Contact us if you'd like more information on finding your dream home or preparing to sell your home. Congratulations on taking an important and key step in your home ownership experience. I am a full time real estate agent who is qualified to assist you in buying or selling your home. I have a keen sense of the local market and know property values, time spent on the market, appreciation of the market, and how to gain the best exposure for your property. Check out my Profile to view my qualifications. This is a one-stop real estate website for all your home buying and selling needs in Colorado Springs & Denver Area.